Today, the NFL will hold their draft. In a couple months, training camp will begin. And after that the 2016 season will kick off with the Denver Broncos and Carolina Panthers. The league runs like clockwork, occupying 12 months of the year and seemingly more. But this year, for the first time in nearly two decades, something will be noticeably different. For the first time since 1998, Peyton Manning will no longer be taking the field, and that’s quite the loss, not just for the Colts and the Broncos but for the entire game of football. No matter which team you root for, Manning has likely played a significant role in your football fandom; he’s been the face of the league. But for many, it’s what he’s done off the field — his friendship, his generosity, his comedy — that will hold the longest impact. Today, Gatorade released a new line of commercials entitled #DearPeyton. In them, friends, family and acquaintances simply read the hand-written letters they’ve received from Peyton Manning over the years. 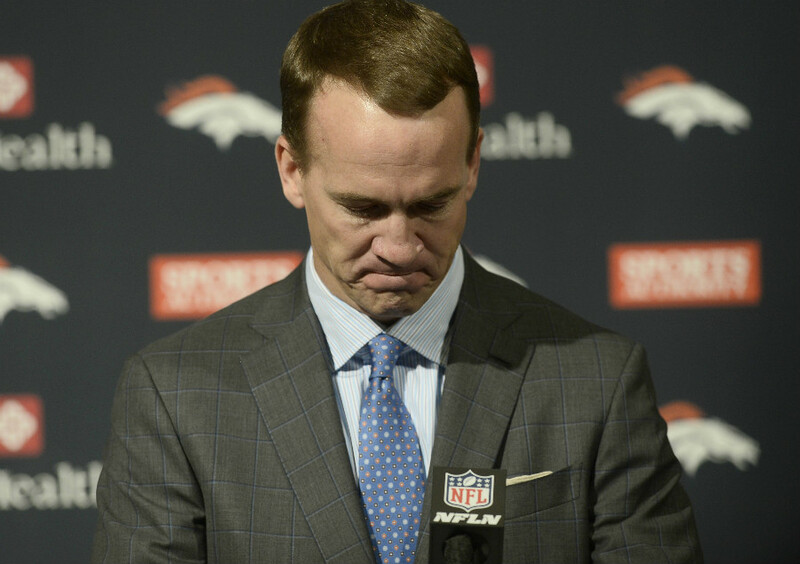 It’s surprisingly emotional, probably because they make it seem as if Manning has died, not just retired. But for many of us, when our only link to No. 18 is his play on the field, he might as well be. There are several iterations of the commercial — coaches, teammates, family — but the one that definitely strikes home the most is Chris Mortensen’s. Use the playlist dropdown tab in the top left of the player to select different commercials, or just watch them all in order. You won’t be disappointed. So today, while everyone is focused on the future of the league and whom their favorite team will draft, take a moment to step back and thank Peyton Manning for all that he did for the game of football, and specifically the Denver Broncos.